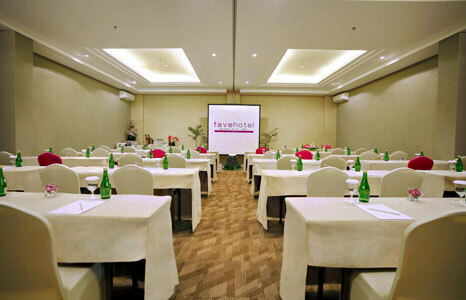 Bali, 4 October 2013 – In a response to the increasing demand for MICE facilities in Bali, favehotel Bypass Kuta has expanded its smart and modern MICE amenities by adding an extra meeting room. The latest meeting room can accommodate up to 100 guests, matching the hotel's two existing meeting rooms that total a capacity of 200 persons. The facilities are complimented by the hotel's convenient location on Jalan Bypass Ngurah Rai as well as the ample parking space with enough room for buses. “We are thrilled to announce a new meeting room to favehotel Bypass, joining the already successful meeting rooms that cater to our savvy and professional travelers. With the increasing demand for MICE facilities in Bali, we look forward to hosting all of our future guests” said Yohanes S. Hadi, Archipelago’s Bali based Regional General Manager. The budget hotel features 160 modern, functional and stylish rooms & suites with the added conveniences of free high-speed WiFi, 24-hour front desk and security service, express check-in and check-out, a complimentary shuttle service to the center of Kuta as well as a comprehensive room and laundry service. The hotel also boasts the signature Lime Restaurant and Coffee Shop, a modern bar and a large swimming pool & kids pool. 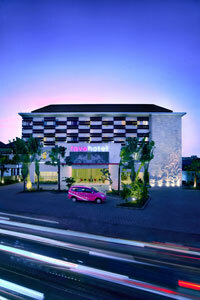 The favehotel Bypass Kuta – Bali enjoys a privileged location on Jalan Bypass Ngurah Rai, Bali's main artery and the cross road to all of Bali's offerings. With its affordable yet stylish accommodation, the hotel aims to offer a fun, fresh and friendly alternative to holiday and business travelers, whilst providing the ideal vantage point from which to discover the island.